October 7, 2015 October 9, 2015 | LizT. This one is a no brainer. Growing up there was one teacher we all wanted to have and that was Feeeeeeny! Fee-hee-hee-heeeny! He cared about his students with crucial life lessons and was always there when they needed him. Always! From elementary school through college. Now that’s dedication! Any good teacher uses a mixture of love and tough love to teach. Professor McGonagall is the perfect example of this. She genuinely cares about all her students and looks the other way if the situation calls for it. And sure, you’re not supposed to play favorites, but Minerva always had a soft spot for the boy who lived and his two best friends. 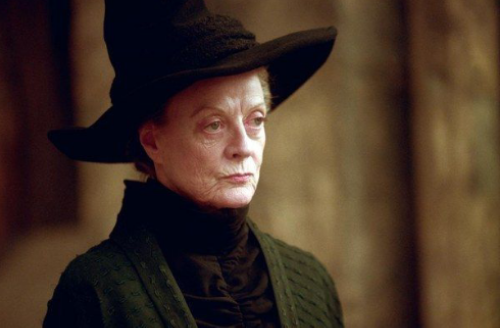 In the final film of the franchise, it’s that moment when Minerva McGonagall calls for everyone to defend Hogwarts that makes me cry every time! I always wished to go to magical school and be taught be her! Good teachers teach. Great teachers inspire! 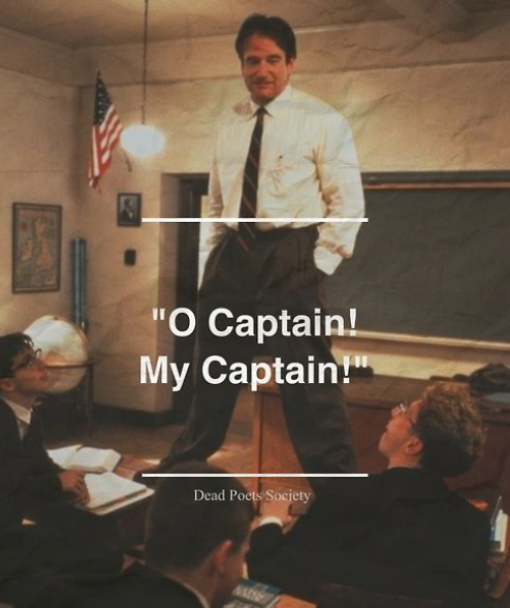 And there are few fictional teachers as downright inspiring as Robin William’s John Keating from Dead Poets’ Society. ‘O Captain, My Captain’ I’d stand on my desk and follow you anywhere! 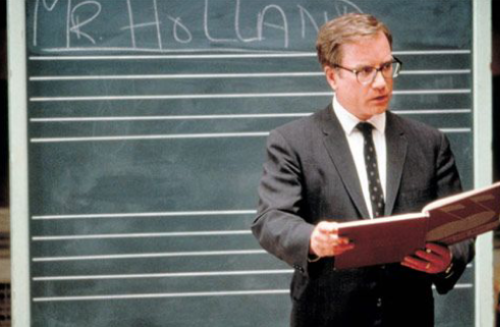 As a musician, I always had a special place in my heart for Mr. Holland, played by Richard Dreyfuss in the movie Mr. Holland’s Opus. Sure Mr. Holland wasn’t perfect. There was that whole, almost had an affaor with a student thing. But hey, even teachers aren’t perfect. This film had poignant life lessons and a truly delicious soundtrack. Win, win! Yes, the same Corey Matthews from the beloved 90’s TGIF sitcom, Boy Meets World. Corey and Topanga are back with two adorable kids of their own and it’s their daughter Riley Matthews that’s learning about the world now. And just like Feeny before him, Corey has become the kid’s teacher, spirit guide and emotional counselor. Following them from elementary school into middle school (and here’s hoping he continues through college just like Feeny.) That’s not the only similarity to my #1 favorite fictional teacher! It seems like Corey really was paying attention in class all those years because he makes an excellent teacher and fans of Boy Meets World will love where they take these characters. (Plus Shawn comes back!!! And Eric and Angela and Mr. and Mrs. Matthews and yes…even Feeny returns a couple times.) It’s definitely a must watch!! I actually have a lot of teachers in my family. My mom is a preschool director. Dad teaches middle school (bless his heart.) Granny was an art teacher. Grandma was a teacher too. One of my best friends is a damn fine high school teacher. If one of them had been my teacher when I was a kid (obviously my parents taught me..but you know what I mean) then maybe I would have been a better student than I was. Who do you wish had taught your classes? Or is there a real teacher who inspired you? 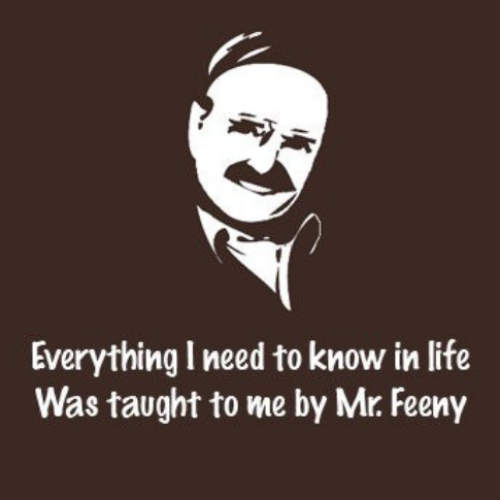 I love that almost everyone has Mr. Feeny! He really does belong at the top! McGonagall! She’s on my list too!